When Bev reports on Harrison’s murder, with references to SCUM and directly attacking Kai and his new reign. Kai isn’t overly upset - because he’s watching the show sat next to Bebe, they’re working together. And completely - it was Kai telling Winter about a misogynist slogan he blamed on Harrison (which Harrison denied) which singled him out for murder. So, just as this whole trainwreck of a series has championed extremist straw-men stereotypes of, well, just about everyone we now have the extremist straw-feminists who think women are inherently superior and all men must die. I’ve seen articles saying that this episode is a link to or part of displaying the female rage of #MeToo which both seems doubtful given the timing but also… reductive given the content and the portrayal of an incoherent serial killer effectively leading (behold the title of this series), a cult. It’s more than problematic to compare the two. 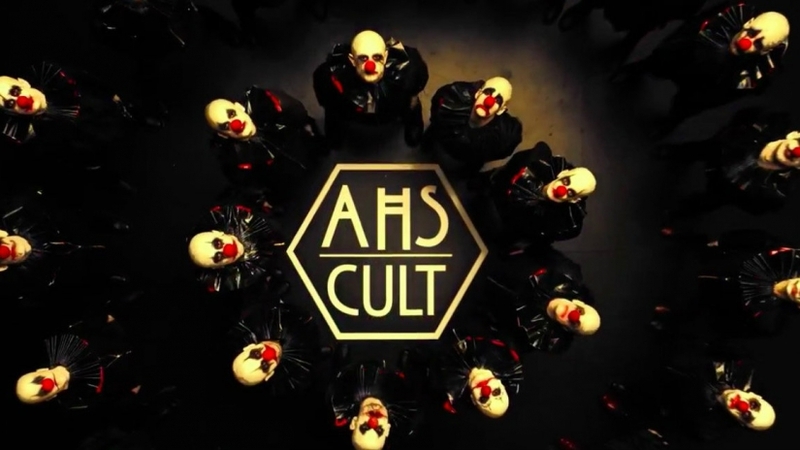 And like so much in this season, the comparison of serious, real world injustices and fears and brutalities to the often shaky caricatures of American Horror Story is something that needs to be done… cautiously. Because it does raise good points - about women being sidelined, removed, depowered and victimised - and of women’s work and activism and power being exploited and used but women themselves constantly. And then makes that into a serial killing cult being manipulated, ultimately, by Kai. have American Horror Story and reason #89679 why I drink.